With major advances in science, it is necessary for us to embark on some major science projects which have relevance to national needs and which will also be relevant for tomorrow’s technology. With this background, a Workshop on Innovations in Science and Technology was organized to motivate our young budding engineers and researchers to involve themselves in the development of the nation. 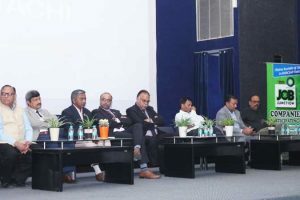 The objective of this Workshop was to give an overview of the present state of knowledge of science and technology as well as to create awareness amongst the B. Tech. students and scientific community in general. 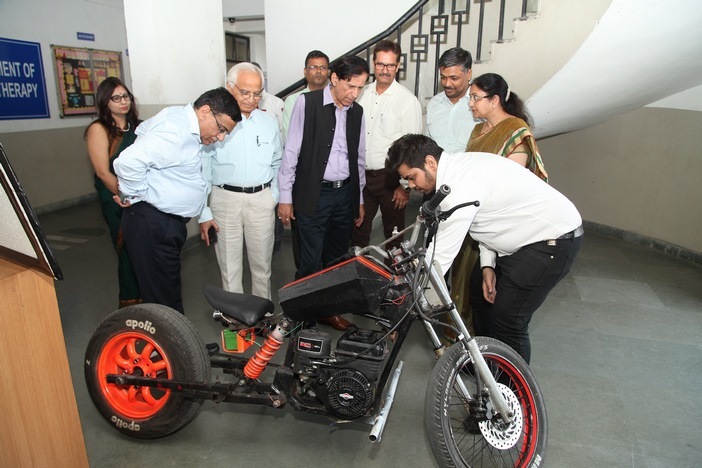 Through this Workshop, efforts were made to raise awareness and build the capacity of budding engineers, enabling them to proactively search for state-of-the-art clean technologies. 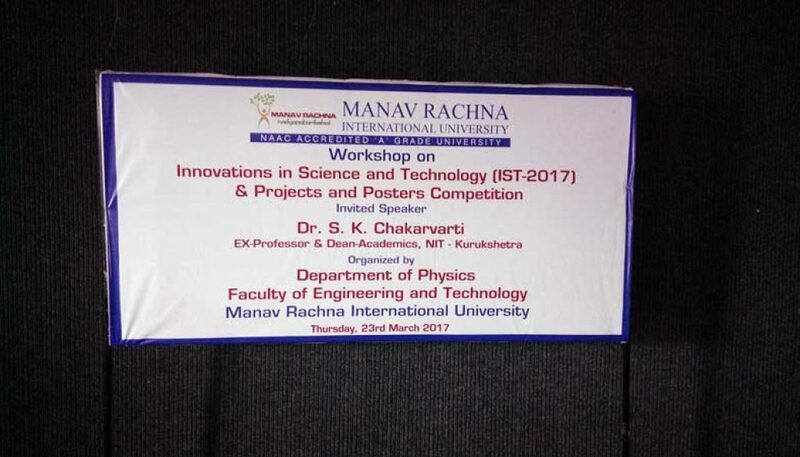 One Day workshop with resource person Dr. S. K. Chakarvarti, EX-Professor & Dean-Academics, NIT Kurukshetra and participants from various departments of MRIU and students from Manav Rachna International School, Gurugram, proved to be very useful. 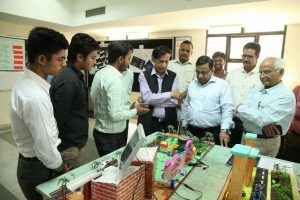 The workshop began with traditional lighting of wisdom lamp by Vice Chancellor, MRIU Dr. N.C. Wadhwa, Dr. M. K. Soni, Executive Director & Dean, FET, MRIU, Dr. S.K. Chakarvarti and HODs of various departments of MRIU. 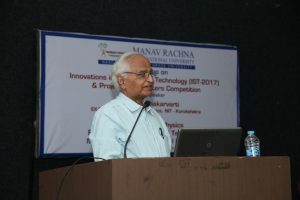 Dr. Devi Singh delivered his opening remarks by focusing on the importance of innovations in science and technology and research prospects for the future generation. 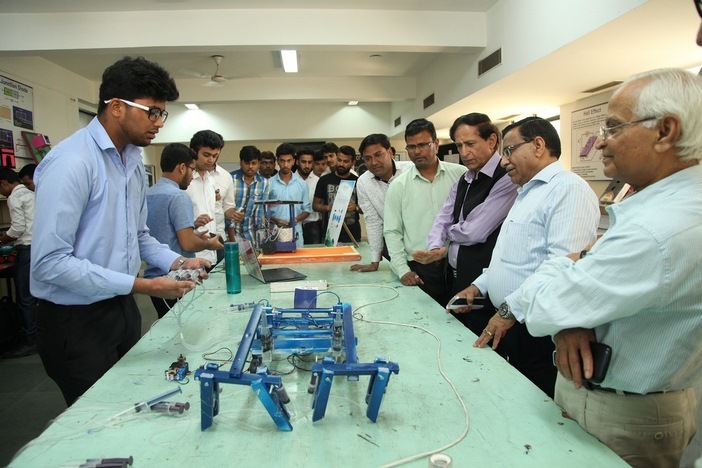 The Workshop patron Dr. N. C. Wadhwa acknowledged the contribution of Indian scientists and Engineers worldwide in the field of science and technology. 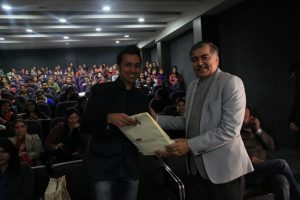 He inspired and motivated the students and faculty for doing better in the field of innovations. In the light of the projects and posters made by participant students, Honorable Vice Chancellor Dr. N.C. Wadhwa encouraged the students to transform their thoughts into reality and said MRIU will always support them. In their endeavor. 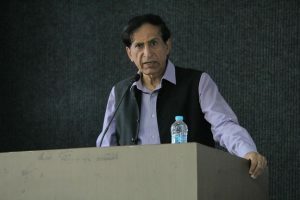 Dr. S.K. 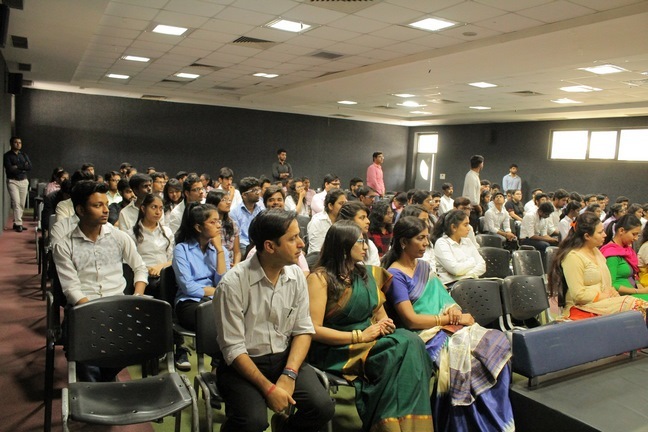 Chakarvarti, the guest speaker discussed the concept of innovation and invention. 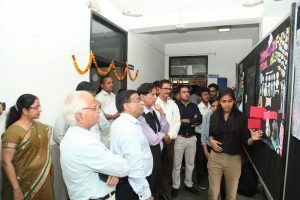 In his talk, he emphasized on Innovations by some Indian Students. He showed some glimpses of innovations done by students such as a torch with an additional bulb, wheel chair convertible to crutches, multicolour headphone wires, adjustable electricity extension board, Bulb/CFL remover/connector, low cost Braille printer, Posture correcting chair, etc. He also drew the attention of the gathering on future research on basic sciences and its technological applications. During his visit to the exhibition, he advised the students to participate at big platforms to showcase their innovative ideas and talents. On the extension towards sharing of knowledge, Dr. M K Soni, Executive Director & Dean, FET, MRIU said Science is an essential part of our daily lives and every aspect of our lives relies on the need for technology.A vote of thanks was proposed by Dr. Devi Singh, Convener and Head, Department of Physics with a motivational enforcement to involve them with innovative work. About 100 students of First Year B. Tech. of various branches presented their working projects and posters with their innovative ideas. Some of the ideas were very innovative like Bluetooth control Smart Car integrated with Hydraulic Bridge, Smart Village, Scorpion, Bike with Lawn Mover Engine, Irrigation ROBOT, Theft Alarm, h2 gas Generator, Bluetooth car, Projector, IR Sensor, Melody Generator and many more. 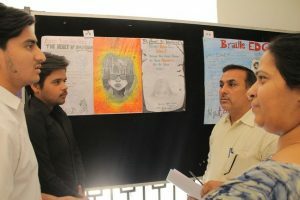 The Posters were based on applications of science and technology for the benefit of society. 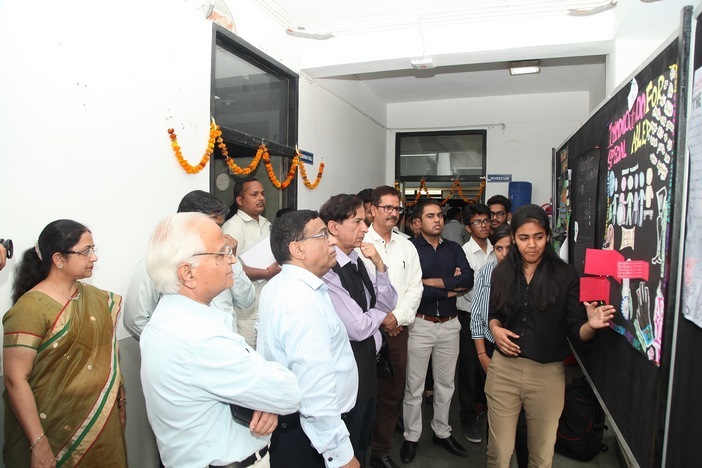 The evaluation of displayed projects and posters were executed by esteemed judges Dr. D. K. Sharma, Professor, Department of Physics, MRU and Dr. Geeta Nijhawan, Professor, ECE, MRIU on various criteria. 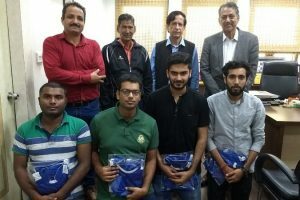 On the basis of their judgment First, Second & Third Prizes were given to projects Irri Robot, Scorpion- A hydraulic Crane and IR Sensor respectively. 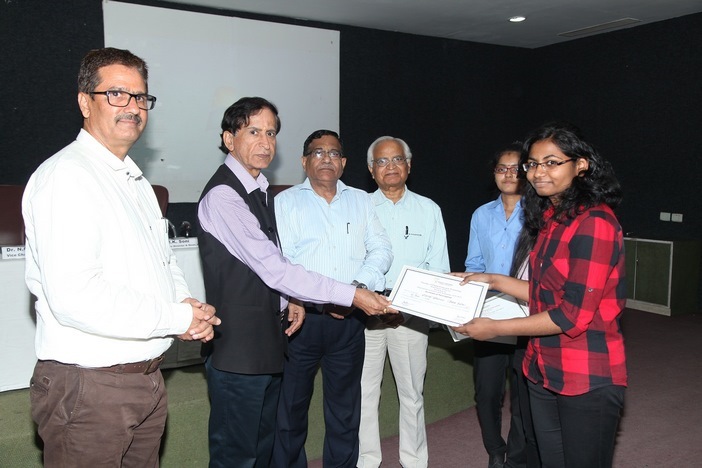 In the poster category, First, Second and Third Prizes were given to Magnetic Levitation, Physics in Vocals and Quantum Computing. 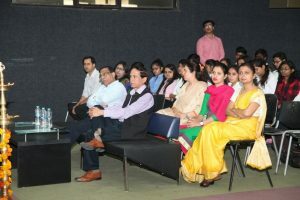 The fervent participation and presentation by students along with the informative talk sessions by invited speakers testified to the success story of the Workshop.